SEEING IS BELIEVING - You wont believe the value of this new 2,000+/- sq. 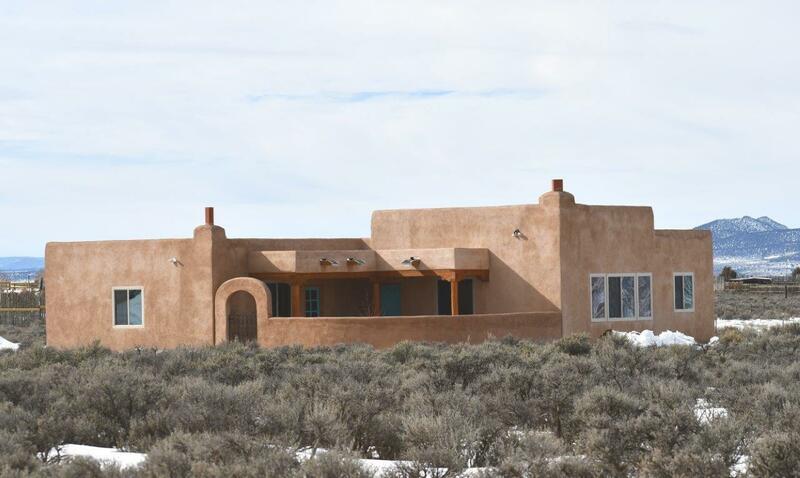 ft. 3BR/2BA pueblo style home on 1 ac. until you see it. The living room windows frame Taos Mountain. 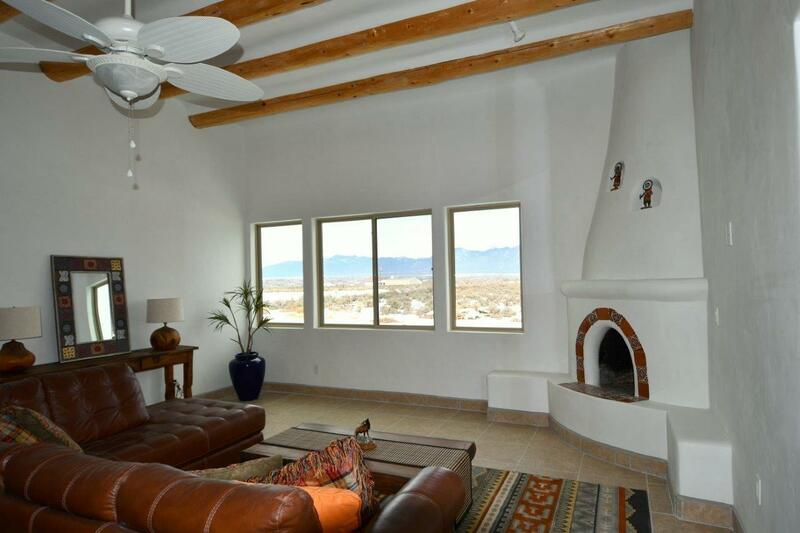 It has all the Southwest touches like vigas, corner kiva fireplaces, Saltillo tile floors, and smooth hand troweled plaster interior. The great room has great high coved ceilings for that airy, open feel. 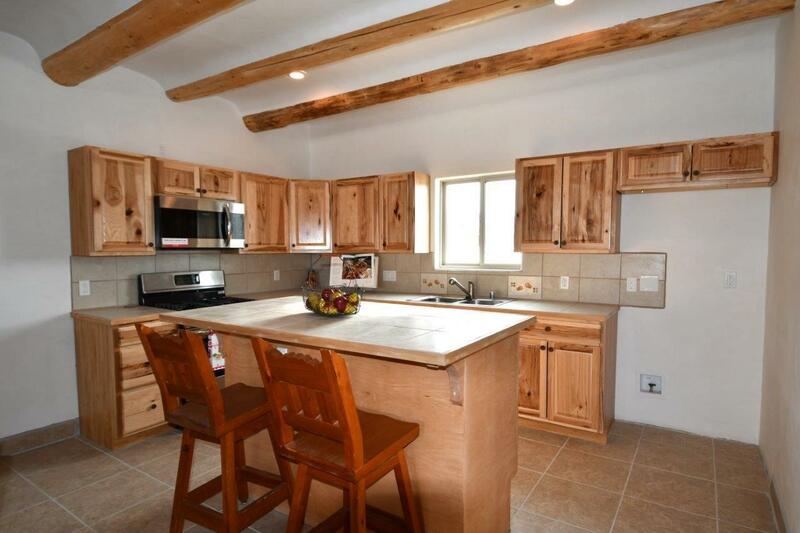 The kitchen features stainless appliances and a deep stainless sink. Youll enjoy the split floor plan and the expansiveness of the master suite with kiva fireplace, more views, large walk-in and bath with jacuzzi type tub. Guests will appreciate the 2 ample bedrooms with Jack & Jill bath. Youll appreciate the large laundry room complete with sink. Sit on the walled front portal and take in the views while reading, just relaxing, or reminiscing with friends. 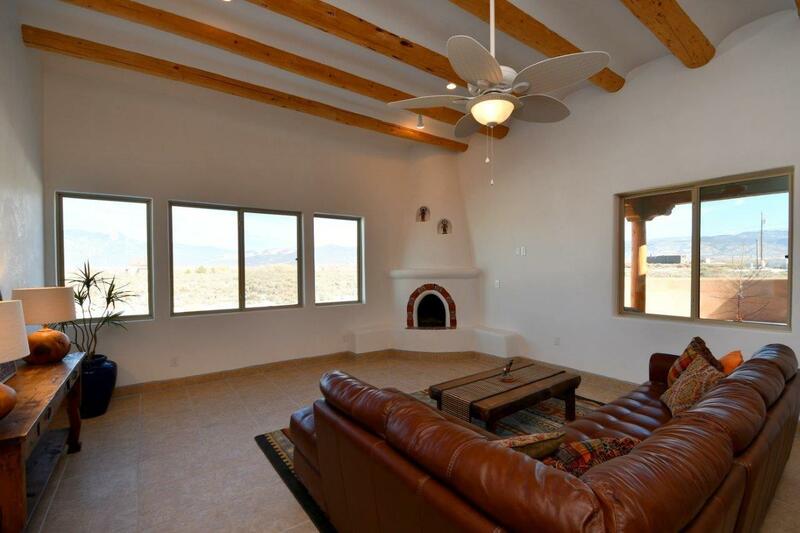 The home is located for year-round access just off Cuchilla Rd. with close proximity to town, Ranchos, golf, hiking, biking, fishing and Taos Ski Valley and Angel Fire are both less than an hour. 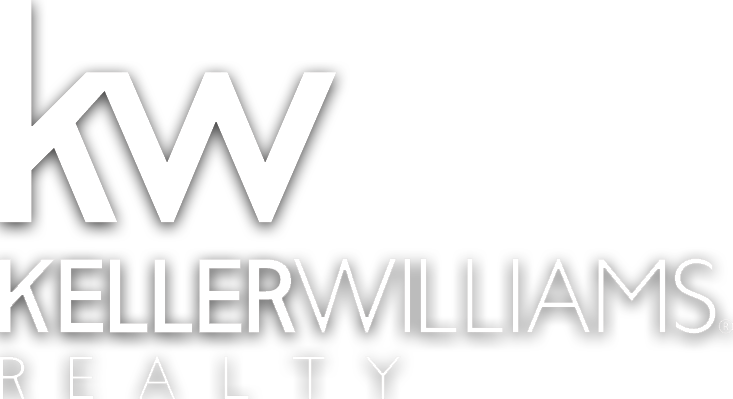 You really wont believe the value until you check out new construction costs in the area - $250-$300 p.s.f. not including land, well/septic, and utilities. Yikes! This home is coming in at just $175 p.s.f. and owner will work with buyer on change requests. Make an appt. to see it today! !